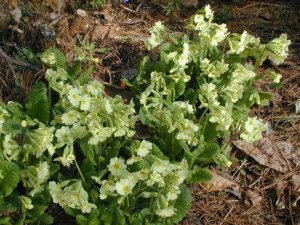 To say they’re a longtime favorite of gardeners is an understatement — primroses have grown in gardens since the 1600s. 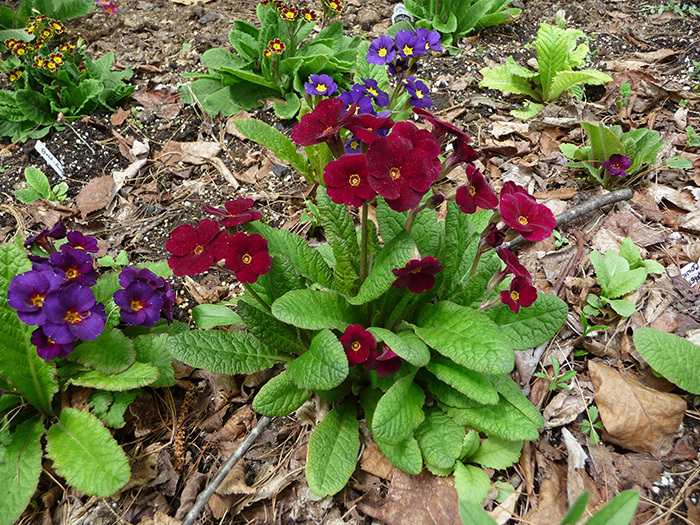 Around that time, Shakespeare wrote of “the primrose way,” a path of ease lined with the flower’s luxuriant petals. 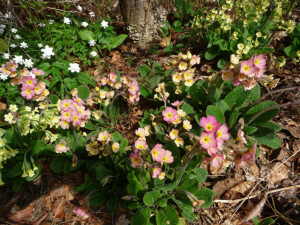 Today there’s a New England Primrose Society (see sidebar) devoted to the flower, also referred to as Primula, which is its Genus. 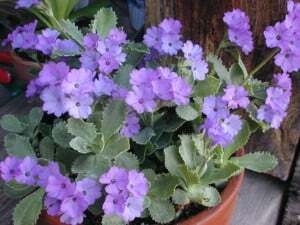 There’s also a “Primula Lovers Group” on Facebook. One of those flower fans is Kristian Fenderson of Acworth. 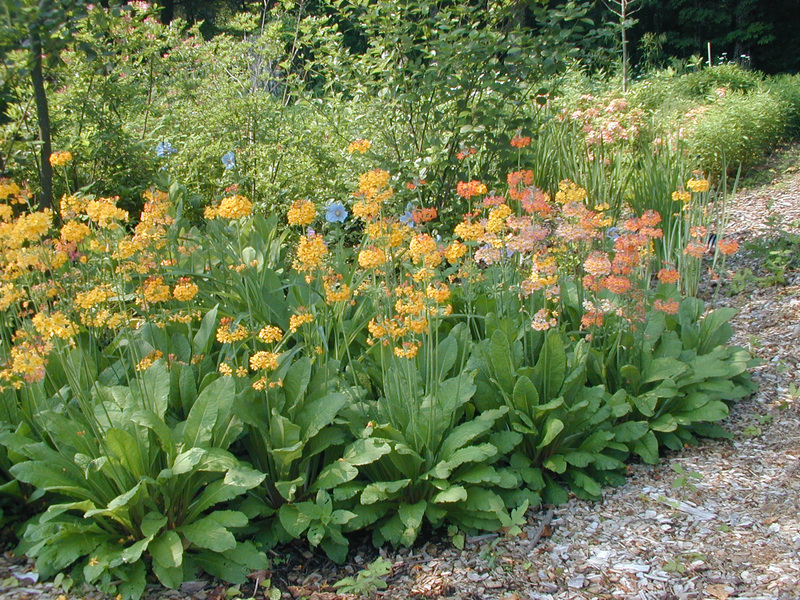 “It’s their beauty, and the ease of which they grow and multiply in my garden,” he says. 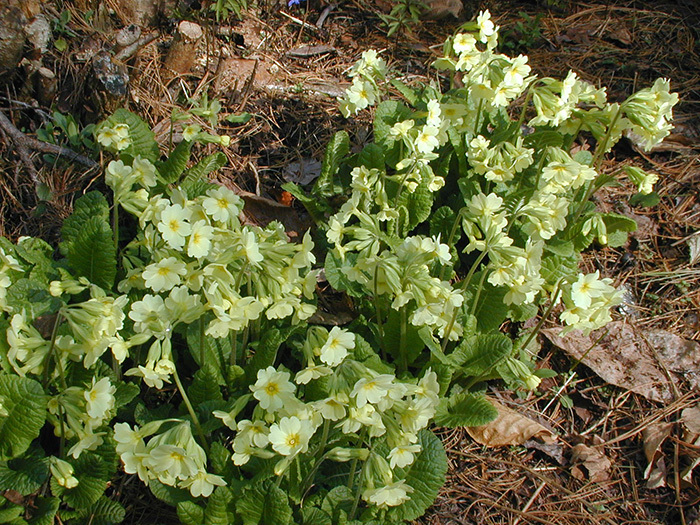 His garden — which surrounds an antique house and barn set on the 300-acre Grout Hill Farm — has a plethora of primroses. Fenderson’s personal favorite — the Primula marginata (see photo), one that he describes as a small, fragrant, blue flowered species with handsome foliage from the European Alps. 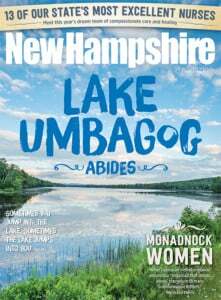 But that’s just one of about 400 species and thousands of horticultural varieties that bloom from mid-April to late August, even into September. 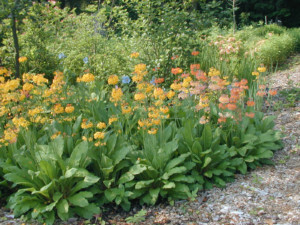 Of those, about two dozen have been commonly grown in gardens. Their colors: dark or light yellow, red/orange, orange, white, lavender, deep rose, pink and peach. 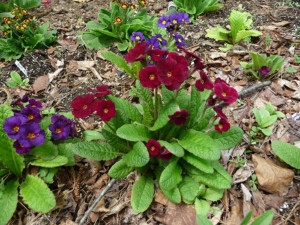 A deep, rich, moist soil with morning sun and afternoon shade make primroses of all colors happy. Plus, Fenderson advises, they need “lots of organic material, lots of moisture, and with some types, division every couple of seasons.” A light mulch of shredded leaves or pine needles is helpful in the winter; they don’t do well with standing water or ice around their roots. It’s said that both the flowers and the leaves are edible, but Fenderson says, even if the leaves can be eaten, you might not want to. “Even the deer don’t eat them,” he says. 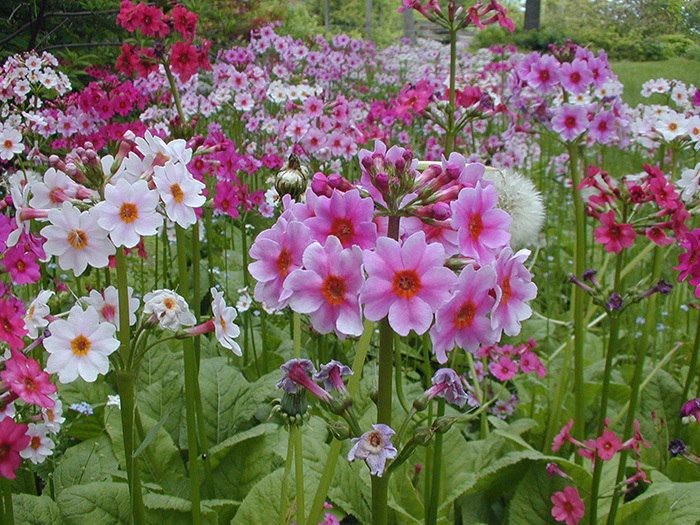 Though the primrose has captured his heart, Fenderson’s extensive garden contains what seems to be every flower in existence — including hundreds of flowering spring bulbs now poking their green heads through the soil. 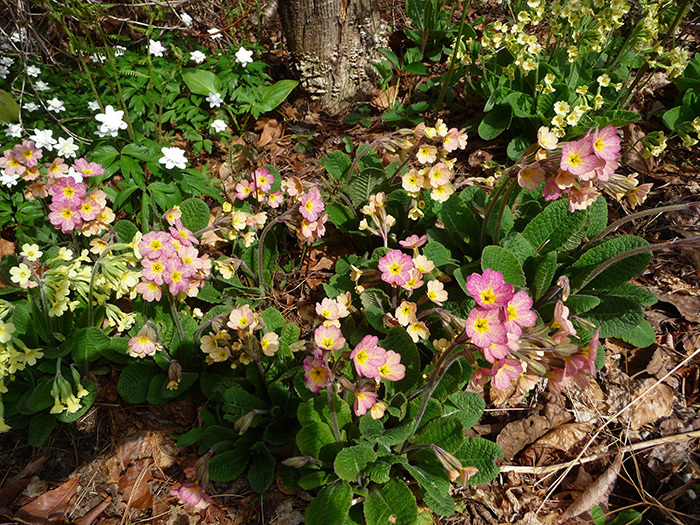 Primrose lovers can enjoy hundreds of them at the upcoming New England Primula Society show. 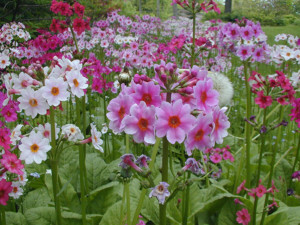 It’s the weekend of April 30-May 1 at the Tower Hill Botanic Garden in Boylston, Massachusetts.